Jill has been an attorney since 1983. She practiced until 1997 in civil, family and property law. She then began working as a clerk for Judge Edward M. Leonard, Jr. while raising her two children, one of which has special needs. Jill has post-graduate training in positive behavioral support and inclusive education as well. 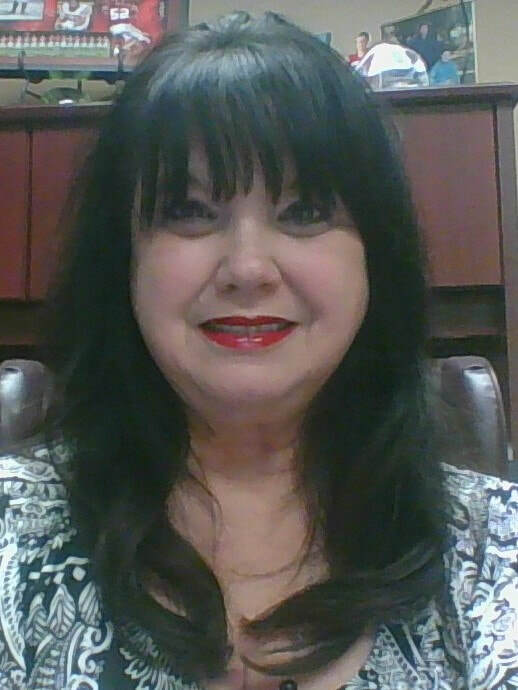 In 2012, Jill was appointed by the Judges of the Sixteenth Judicial District Court as the Hearing Officer for the 16th Judicial District’s Family Court in St. Mary Parish. In that capacity, Jill hears and makes recommendations on all family filings, including custody, child support, domestic violence litigation, spousal support, use of property, community property and any other ancillary issue pending from divorce, custody or domestic violence litigation, including criminal non support. The goal of Family Court is to keep families out of court and allow parents the ultimate decision-making with regard to their children, to allow parties to decide together how to handle their community property, and to work with each other to achieve a common goal of peaceably separating their personal interests when the parties' personal relationship has ended. Best practices dictate that in the family law area, the parties are in control of their own destiny and self-determine the future for their children and themselves. After a family law case is filed with the Clerk of Court, the Family Law Court will contact the parties/attorneys involved in the case to schedule a Hearing Officer Conference. The goal is to get the parties to a Hearing Officer Conference within twenty-one (21) days from the date of filing. Once a Hearing Officer Conference is set, the matter is referred back to the Clerk of Court to set a hearing date before the Judge assigned to the case. The parties are sent an Order setting forth their obligations and ordering the parties to provide certain information and complete certain affidavits to return to the Hearing Officer five (5) days prior to the hearing. At the Hearing Officer Conference, the attorneys and parties meet with the Hearing Officer and the issues which need to be involved are discussed by the parties and their attorneys. An effort is made at this time to facilitate the settlement of the issues at this time between the parties so that they, the persons who are most familiar with the issues involved, can reach an agreement concerning the children, the divorce, the community property, etc. If the parties reach an agreement on all or part of the issues at the Hearing Officer Conference, a Consent Judgment is prepared by the Hearing Officer containing the agreement of the parties and signed during the conference. If the parties reach an agreement on all of the issues, there is no need for the parties to go before a Judge. If no agreement is reached, or only a partial agreement is reached, the Hearing Officer will prepare Findings and a Recommendation for the Court which each party or their attorney will sign before they leave. The parties then have five (5) days to file an objection to all or part of the Hearing Officer's Findings and Recommendation. Objections by the parties must be specific to the each Finding and each Recommendation. If no objections are filed within the time period allowed, the Hearing Officer's Findings and Recommendations are adopted as an order of the Court. If objections are timely filed, the Court will, on the rule date fixed, take testimony as to only those matters which are objected to with all matters not objected to being adopted by the Court. After a trial on the objections, the Judge (assigned to your case) will make a finding as to all issues to which an objection has been filed and render a judgment. Children in Between (Basic class to introduce parents to the hardships that children face when their parents decide to divorce or separate). What do I call the Hearing Officer? Ms. Jill or Ms. DeCourt is fine. While it is always preferable for you to be represented by an attorney, you can appear without one. The Hearing Officer Conference is in a comfortable setting in a conference room and involves discussions between the parties to attempt to settle issues. What if I am unrepresented, we can't settle at the Hearing Officer Confernce and I don't agree with what the Hearing Officer has recommended? The Hearing Officer will provide you with a form to file an objection so that the Court can decide the issues which are objected to. Do I have to be present during the entire Hearing Officer Conference? Yes. If you fail to appear or do not stay for the entirety of the Hearing Officer Conference, you can be held in contempt of court. Can I bring my phone to the conference? No. If your phone has information which you will need at the conference, please advise your attorney and/or the bailiff's and we may allow you to bring your phone in but your phone must be in airplane mode (where no calls or texts can be received). Can I bring someone other than an attorney into the Hearing Officer Conference? No. Only the parties and their attorneys can be present during the Hearing Officer Conference. What happens if I do not comply with the Hearing Officer Conference Order? You can be held in contempt of court for failing to comply with the Order as it is an order of the Court. The punishment for contempt can be a 30 day sentence and/or a fine. How long will the Hearing Officer Conference last? Ideally, the conference is expected to last ninety (90) minutes but it can go longer. Please insure that you have made arrangements for someone to pick up your children from school and don't schedule any appointments for after the conference as this could result in the parties not being able to reach an agreement or incurring additional attorney fees.